Now that I have announced on Facebook that Sean and I are expecting our first child on April 30th, I can finally blog about our adventures so far! “I took a test,” was all I could get out. “I didn’t want you to find out this way,” I sobbed into the phone. I couldn’t believe it was real. My mom was sweet and promised she wouldn’t tell my dad. Sean was working late, so I put the test(it was clean!) on his pillow for when he came in for bed after work. For some reason he was trying to move me over to his side of the bed and I was telling him he had to lay on his side. He finally went over and saw the test. He didn’t cry like I thought he would but he was very excited! All in all I took 4 tests because I just couldn’t believe it was real. Sunday we told our parents and some family. We first told Sean’s mom Barbara when we picked up Jared and Camille. She was so excited that she got out of bed(which isn’t easy for her) and of course I cried! We then told my parents(but mostly my dad), and he gave one of his classic “really?” looks. My dad was surprised that my mom didn’t say anything! Then we told Sean’s dad Bret and step mom Leslie, as well as Taylor and our aunt and two cousins at dinner. It was cute because Taylor cried and my father in law choked up during the prayer before dinner. We also Facetimed with my brother Chris and his wife Shandi in Virginia and then did the same with my other brother Jake. I had to email Cody to tell him, as he is currently serving his mission. Since I was on new insurance through my new job, I needed a new provider so it was kind of a headache to figure out all that. What helped me out was to choose the hospital that I wanted to have the baby at(I chose Lone Peak Hospital in Draper), and from there I looked at their providers and chose the one that would take my insurance as well as had the best reviews online. I played phone tag with the nurse at the doctor’s office and we finally got in touch with each other while I was at Salt Lake Comic Con. I was nervous but excited for our first appointment. Sean and I were both off for the day so that we could go together. I had to fill out a form about medical history and then got weighed and my blood pressure taken, similar to a normal check up. We had some tests done and I got a flu shot while there. 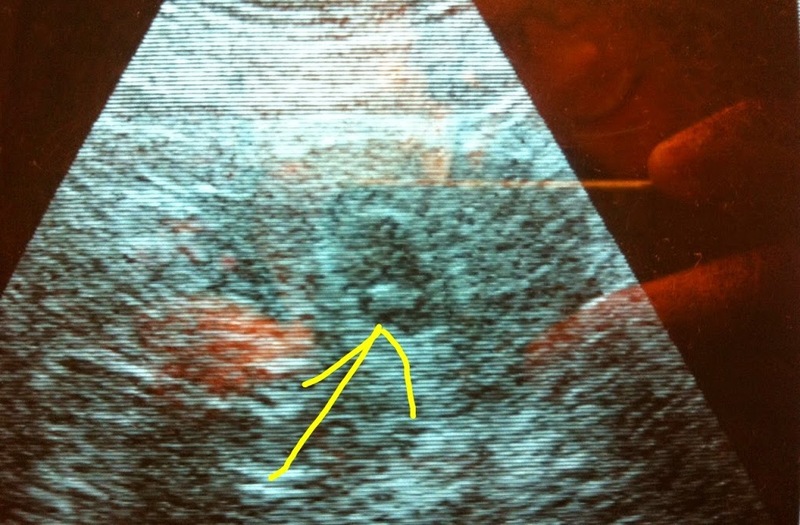 We also got to see our baby for the first time to verify the pregnancy. The last few weeks have been pretty uneventful. 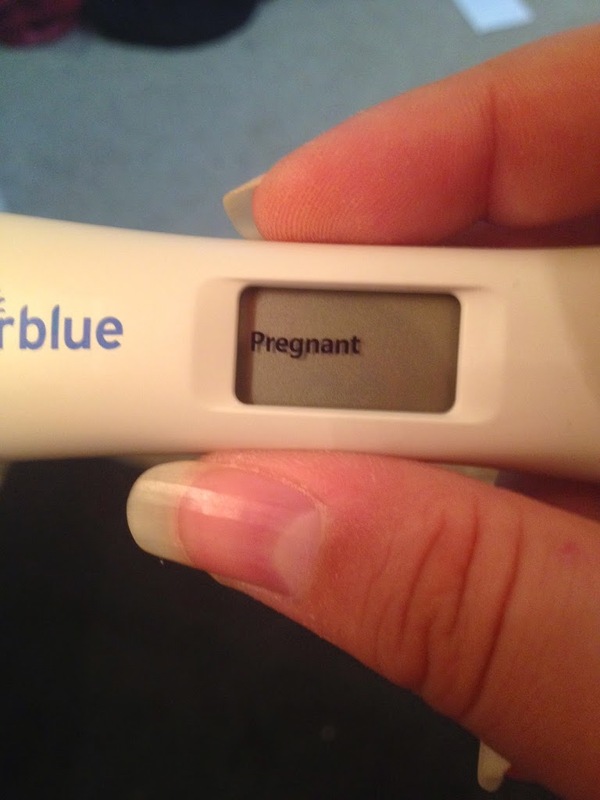 Thankfully I don’t get morning sickness too bad. I can count on my hand the amount of times I have gotten it pretty terribly. I am always armed with anything I would need though to help combat it when it comes on. I like to be prepared! So here is to the next 28 weeks! PS. Special thanks to my awesome father in law for taking photos for our baby announcement! 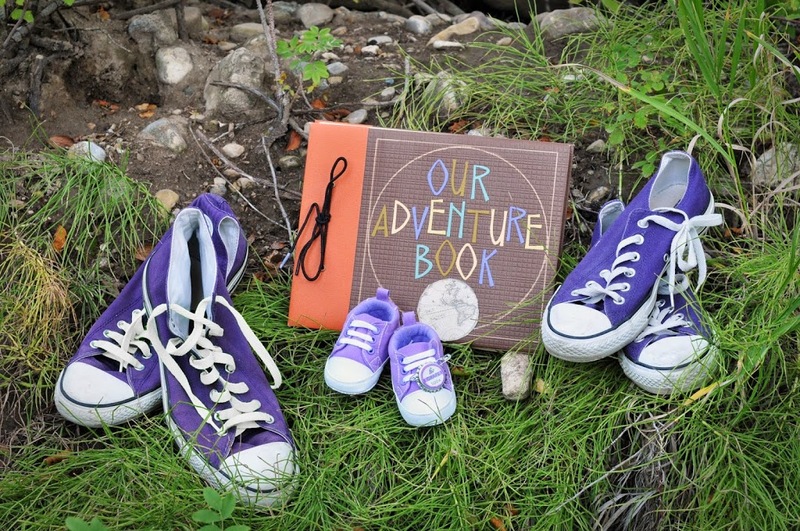 We used our adventure book, shoes, and adventure pin as well as found the baby shoes to match to tie it in with our wedding theme. Also he was amazing and changed Sean’s green shoelaces to white because it clashed with the whole ensemble. What a sweet story, you're going to be wonderful parents. I'm so excited!